These kids sure grew up quickly! They arrived December 23rd, and here we are, a month later, ready to send them off! They will go for their "graduation ceremony" (spay/neuter, microchipping, and vaccines) on Thursday the 2nd, then be fully ready to adopt this weekend. February 4th. If you're interested in one or more of these lovable, rambunctious Textiles, contact On Angels' Wings in Crystal Lake, IL to put in an application. It's not too soon to do it now! You can find the standard application on their website here. Before we get to the photos, one quick thing I forgot to mention in the last post. We hit 150,000 YouTube subscribers over the weekend! WOW! Thank you all so much! Velvet did a wonderful job of raising her kids. A true provider, she was often seen at night calling them to join her after a successful hunt for a catnip mouse. She loves food more than anything else in the world. She can be affectionate and enjoy purring in a lap, but mainly on her own terms. She would never hurt a person, but isn't shy about letting you know when she's had enough. She tolerates the presence of other cats and even dogs, though she's not interested in making new friends. Tweed - affectionately called "Tweedybear" has proven that he can hold his own against his five sisters. Playful and independent, but loves nothing more than a good nap on a soft bed. 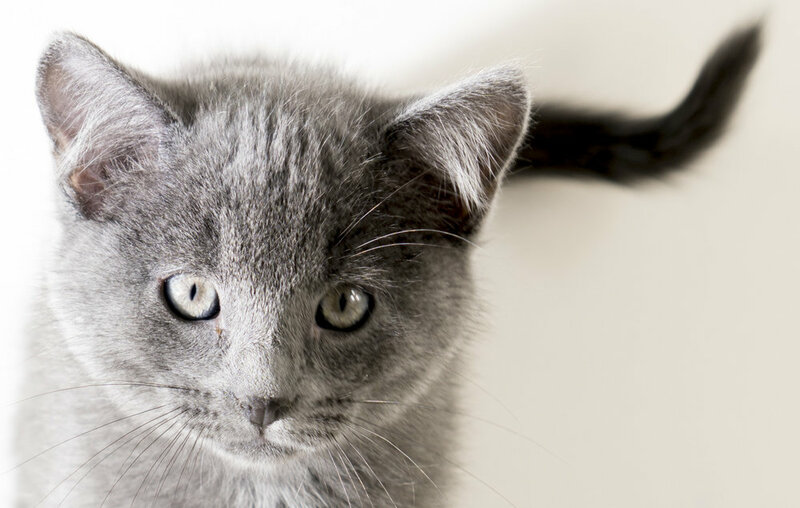 He has a wonderfully affectionate personality and is ready with purrs when picked up! He has grown up in a high-energy family and would do fantastically well whether adopted by himself or along with one of his adorable sisters. Merino is the boldest of the Textiles, and a true people-lover. She loves to explore, will sneak out of the Kitten Academy at any opportunity to see the world. She gets excited whenever people are around and sometimes will climb a leg to get attention. While she is always full of purrs for her people, a lot of her adventures at the Kitten Academy have been accomplished with help from Tweed, Poplin and Flannel. 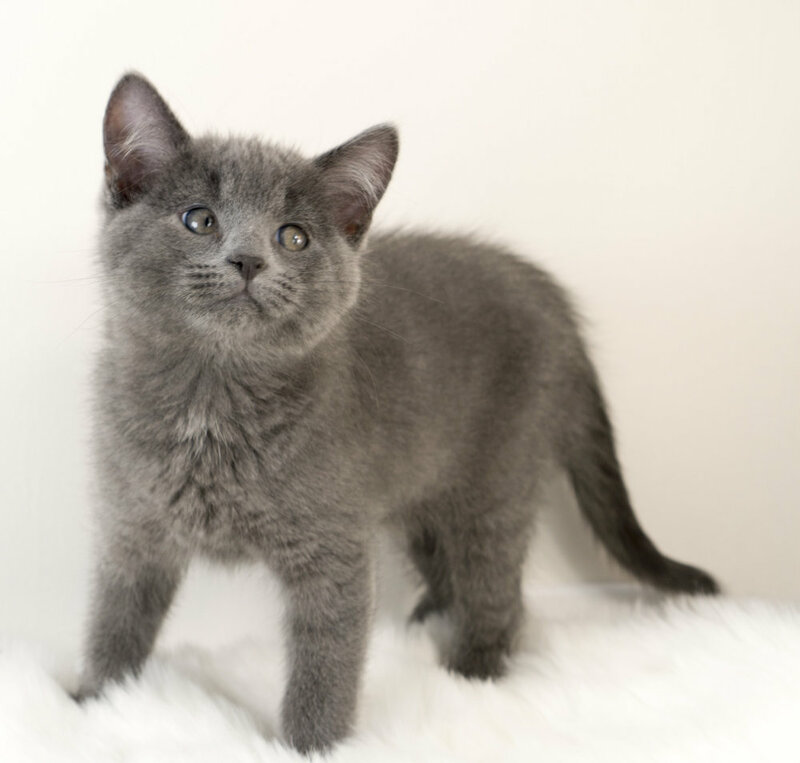 If you are looking to adopt more than one kitten, you cannot go wrong with Merino along with one of her siblings! 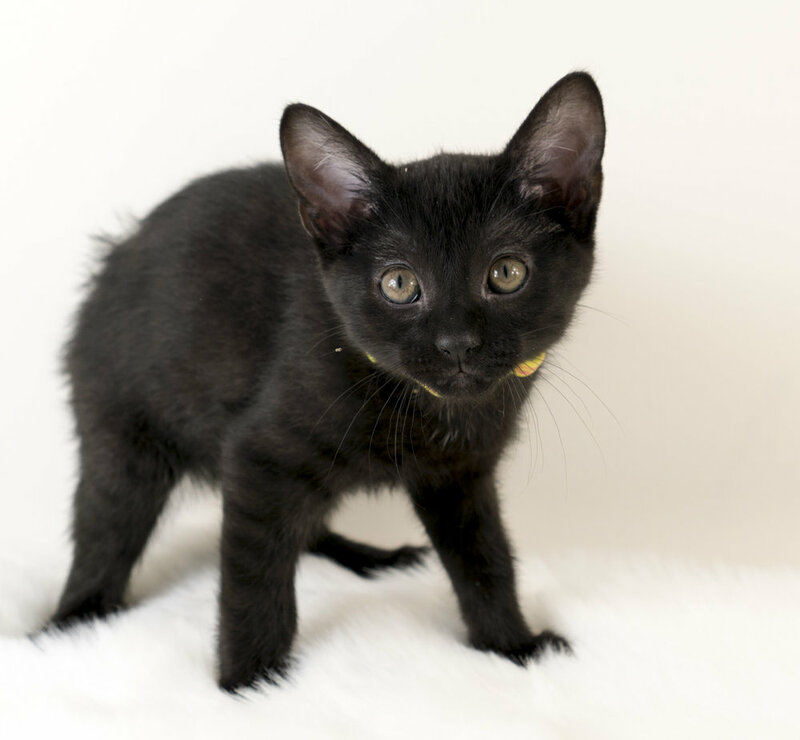 Poplin is a beautiful black kitten with distinctive white eyeliner! Just like her siblings, she is always ready for adventure and has a lot of love for her humans. She has been the leader as well as trusty team member of many exploratory missions undertaken by the Textiles at the Kitten Academy. After a long day of kitten-work, she is also often found right in the middle of cuddle-piles with her siblings. Poplin would make a wonderful pet for anyone looking to adopt just her or along with one of her siblings. Flannel enjoys people and can form a tight bond with the right human. She is a very inquisitive kitten and makes friends with other animals fairly quickly. She also has a lot of snuggles for her humans. She loves to settle in for a nap on your shoulder. She has spent a lot of time in rough-n-tumble mode with her tireless siblings. Flannel will make a great pet whether adopted by herself or with one of her sisters for company! Chiffon is the most independent of the Textiles, and would be ideal for someone who wants a cat that can do her own thing more often than not. She appreciates attention and playtime with her siblings. She always has purrs and snuggles for her humans, especially when it's nap time. 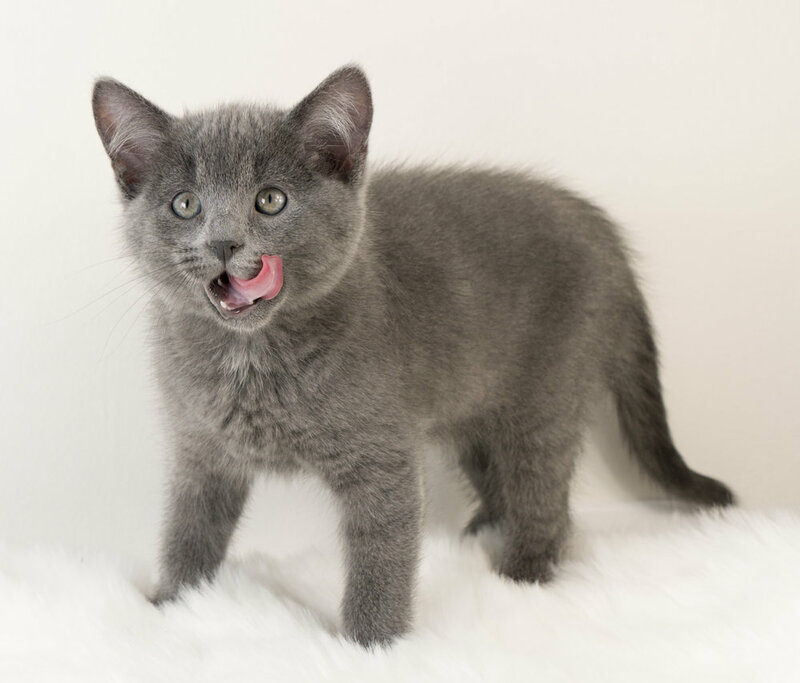 She may be ideal to be adopted with one of her siblings so both kittens get the amount of play and activity that matches up with their incredible energy levels. Jackie is as playful and energetic as any of the Textiles. She loves to attack socks... especially with feet in them! She is often found practicing her wrestling moves on one of her siblings but is also very affectionate when it comes to time with her humans. She loves snuggling up with her siblings at nap-time and would do really well to be adopted with one of them. As usual, here's the rest of the photos from the shoot!